Costumes, make-up and wigs for plays, parades and masquerades. 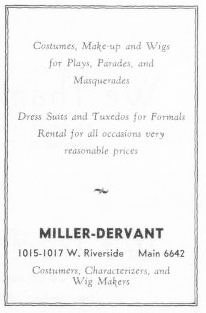 Dress suits and tuxedos for formals. Rental for all occasions very reasonable prices. Costumers, characterizers and wig makers.